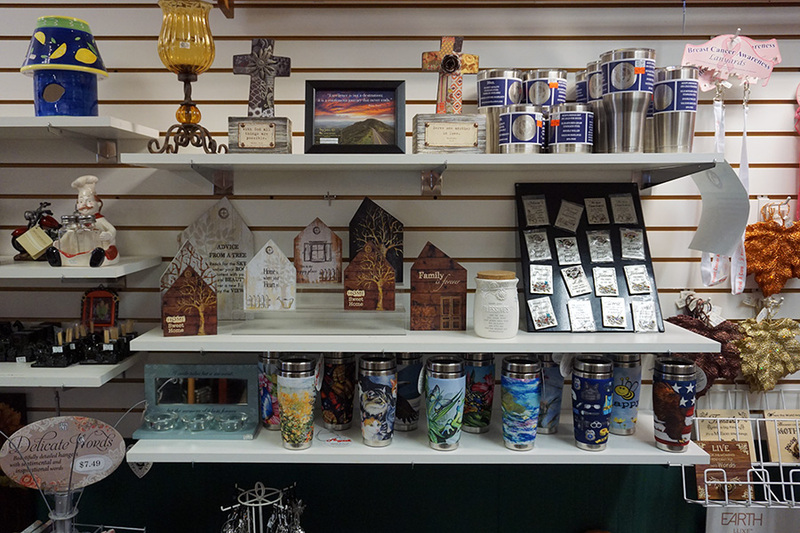 Visiting the gift shop at Mary Yoder's Amish Kitchen is part of the fun when dining with us! 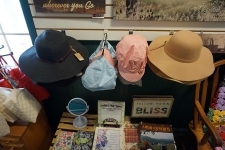 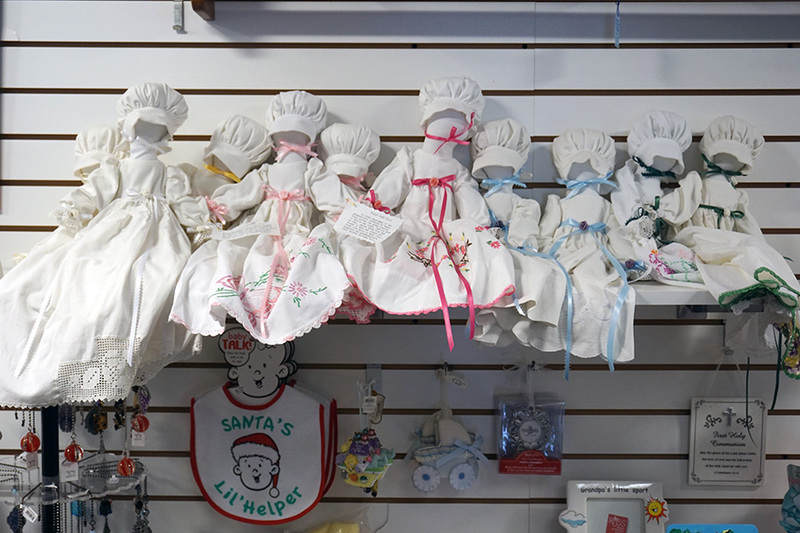 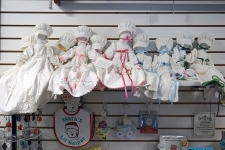 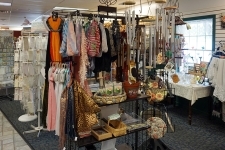 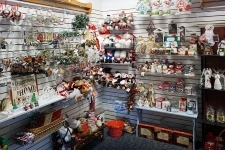 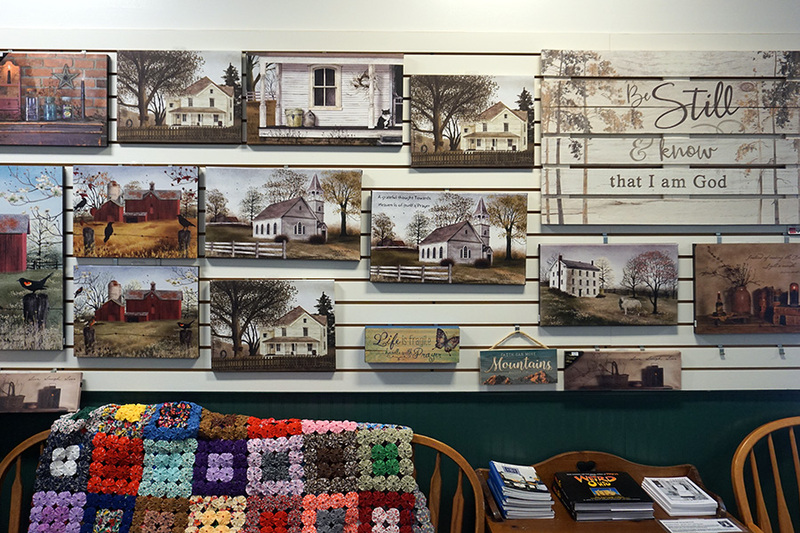 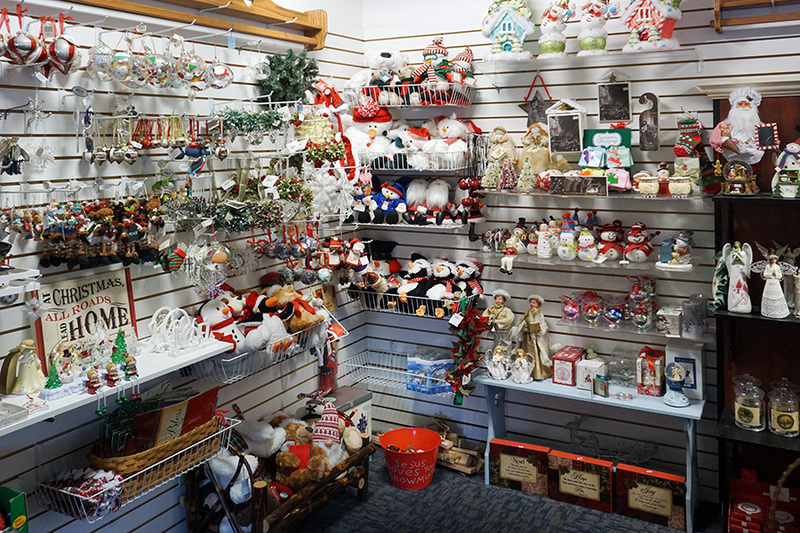 In our gift shop, you'll find many Amish-made crafts as well as so much more. 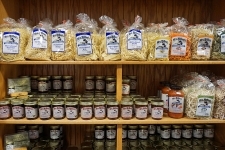 Kids of all ages will love the jams, jellies, noodles, and locally-made chocolates. 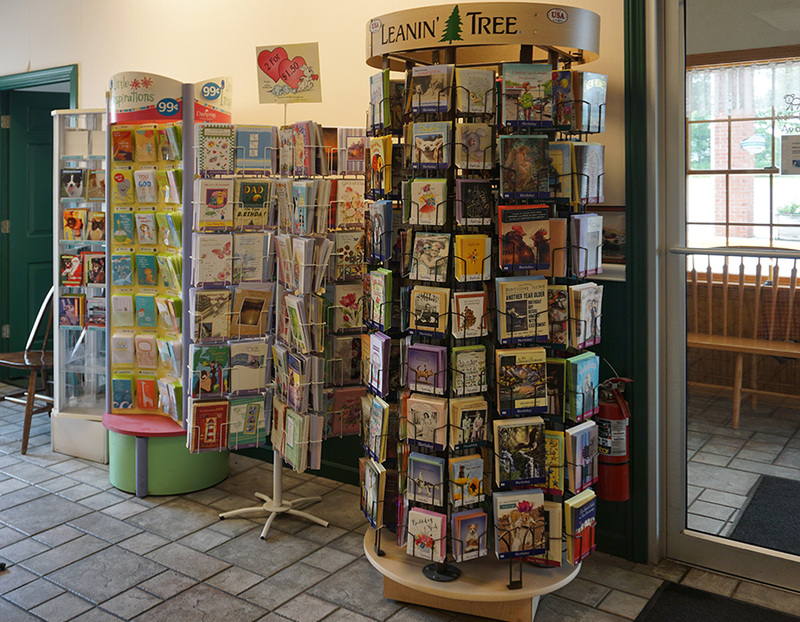 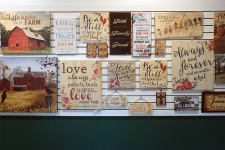 Plus, you are sure to find the perfect message from our large selection of greeting cards. 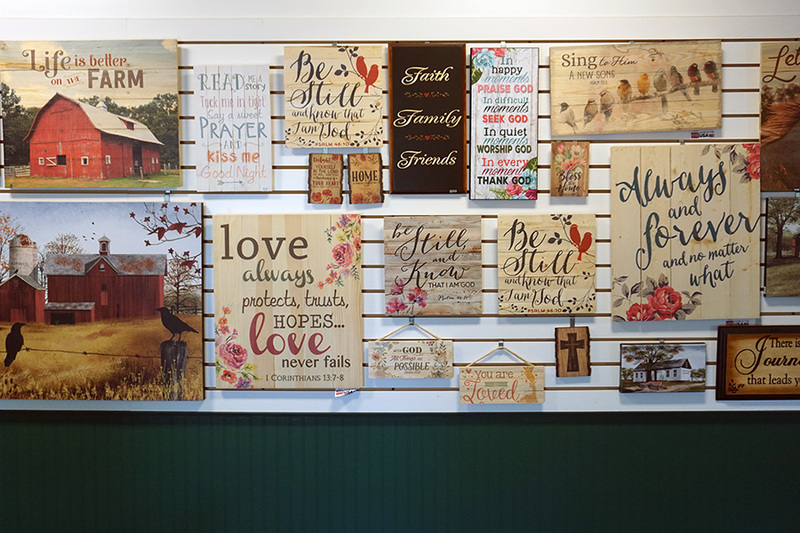 Our walls are lined with beautiful inspirational pictures and paintings that will truly add sunshine to your home, office or wherever they are hung! 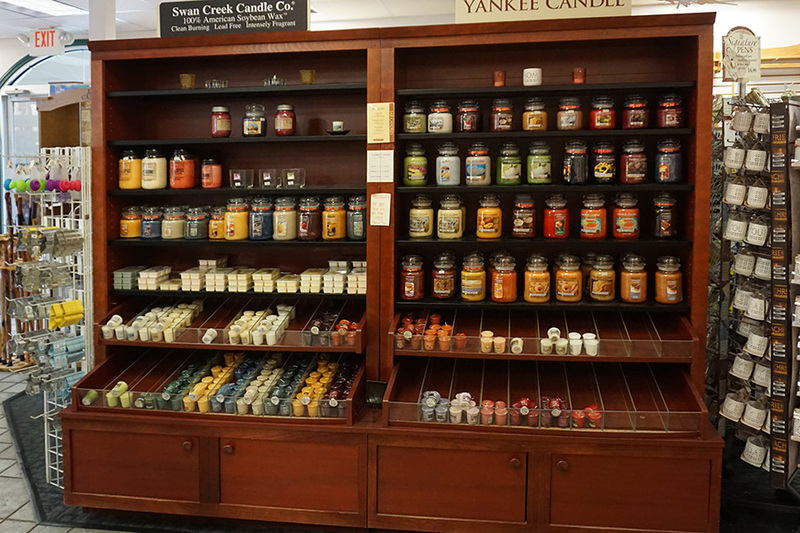 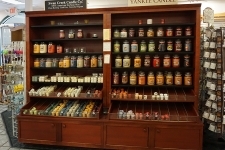 While hanging your new decor, light your Swan Creek or Yankee candles to fill your space with your favorite aroma. 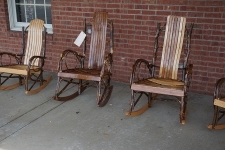 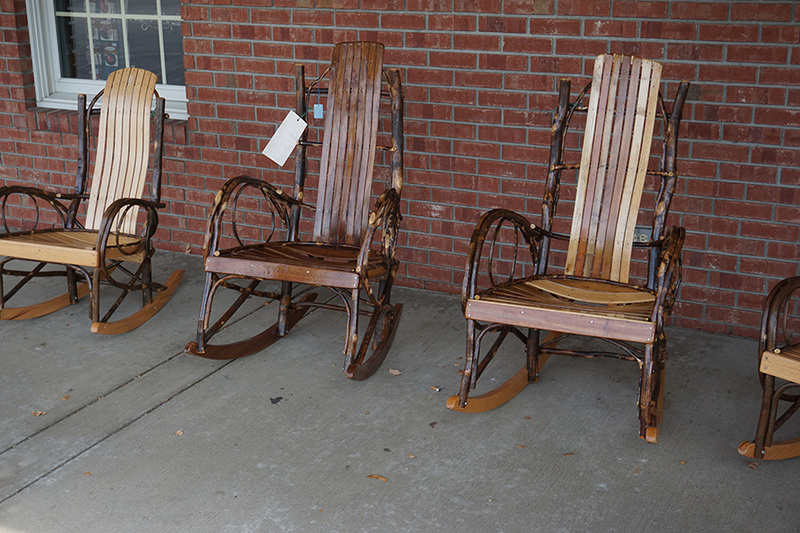 Grab a seat in an Amish-made hickory rocker... and imagine relaxing to the soothing song from our wind chime selection. If taking a slower pace, we offer wooden canes and walking sticks just right for your adventures! 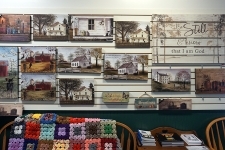 Mugs, pot holders, table skirts, wool dusters... and so much more. 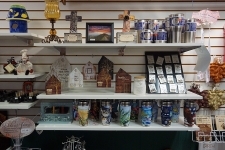 Some items are available for purchase from our online store while others can be purchased on site.